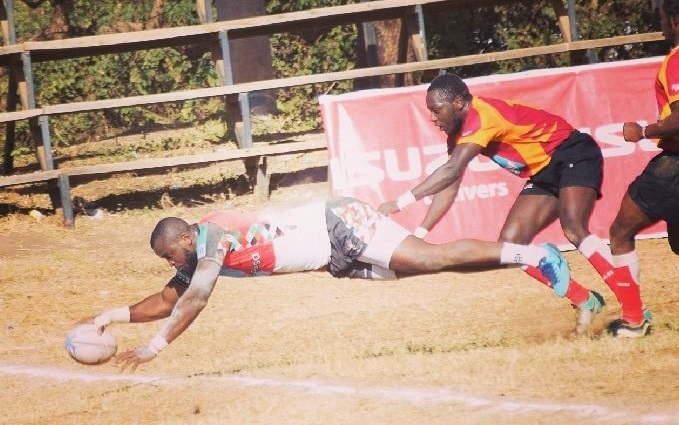 Winger Willy Ambaka scored what could be the try of the season as Kenya Harlequin beat Blak Blad 55-0 in the quarterfinals of the Enterprise Cup at RFUEA Grounds. A superb kick by Lyle Asiligwa found Ambaka who dived over to make it 12-0 with Asiligwa also coming through with the extras. Daudi Semwami, Kevin Angote(2), Tony Mutai and Dominic Osino joined Ambaka on the scoresheet as Quins restricted KU from scoring any point. Kenya Harlequin will head to Kabras Sugar for the semifinal with KCB set to host Impala Saracens in the second semifinal.